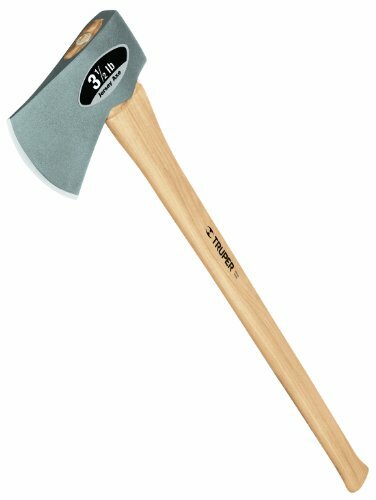 Truper 30520, HM-31/2H, 3-1/2-Pound Single Bit Michigan Axe, Hickory Handle, 35-Inch. Handy axe for Home, farm, dairy, sport, recreation, garden or home use. Durable hickory handle is an industry standard for strength and comfort. Heat treated blade, wood and steel wedge assembly. After use, clean handle and coat blade with light lubricant. Stock up on quality Truper Tools for other projects today. Truper has been in the hand tool manufacturing business for over 40-year and is by far the largest Mexican company in its field. Truper relies on the most advanced modern and efficient technology to guarantee the optimum quality and value of its products and demanding service needs of the company's global customers. 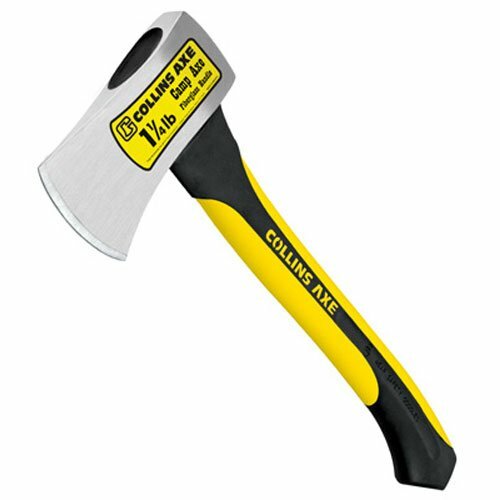 4 lb, fiberglass handle splitting axe, Michigan style, 34" double injected fiberglass handle with a control grip. 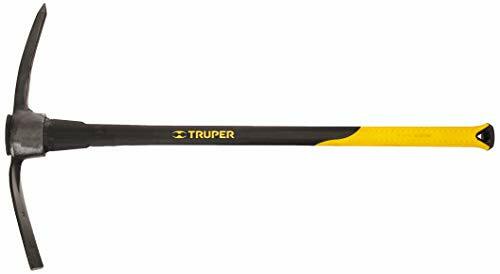 Truper 31614, TP-5F, 5-pound Pick Mattock, With 36-Inch Fiberglass Handle, 36-Inch 5-pound, pick / mattock head combo. 36-inch Double injected fiberglass handle with rubber grip for improved handlingand control. Handle has shock absorbent -Feet-Feetpoly-inch guard to protect against overstrike damage. Picks through hard pan soil, cuts small shrub roots, chews up stubborn soil. Stock up on quality Truper Tools for other projects today. Truper has been in the hand tool manufacturing business for over 40 years and is by far the largest Mexican company in its field. Truper relies on the most advanced modern and efficient technology to guarantee the optimum quality and value of its products and demanding service needs of the company-Feets global customers. 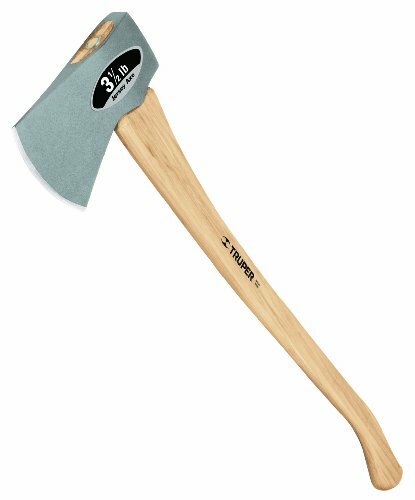 Truper 33131, HJ-31/2SH, 3-1/2-Pound Jersey Axe, Straight Hickory Handle, 35-Inch. Handy axe for Home, farm, dairy, sport, recreation, garden or home use. Durable hickory handle is an industry standard for strength and comfort. Heat treated blade, wood and steel wedge assembly. After use, clean handle and coat blade with light lubricant. Stock up on quality Truper Tools for other projects today. Truper has been in the hand tool manufacturing business for over 40 years and is by far the largest Mexican company in its field. Truper relies on the most advanced modern and efficient technology to guarantee the optimum quality and value of its products and demanding service needs of the company-Feets global customers. 4 lb, wood handle single bit axe, high polished professional head, 35" American hickory wood handle, seal coated hickory handle. 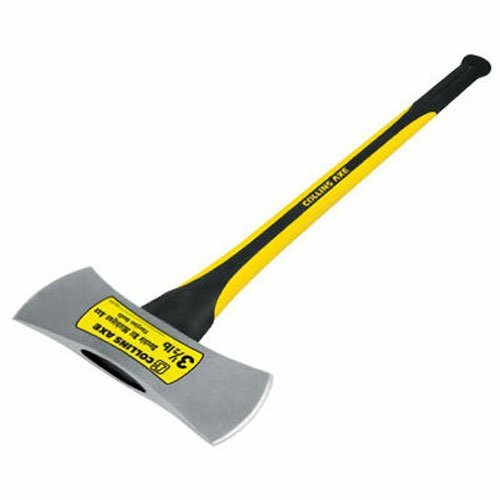 3-1/2 lb, double bit, Michigan pattern axe, 34" double injected fiberglass handle. Manufactured in China. Truper 30526, HJ-3 1/2H, 3-1/2-Pound Jersey Axe, Hickory Handle, 35-Inch. Handy axe for Home, farm, dairy, sport, recreation, garden or home use. Durable hickory handle is an industry standard for strength and comfort. Heat treated blade, wood and steel wedge assembly. After use, clean handle and coat blade with light lubricant. Stock up on quality Truper Tools for other projects today. Truper has been in the hand tool manufacturing business for over 40 years and is by far the largest Mexican company in its field. Truper relies on the most advanced modern and efficient technology to guarantee the optimum quality and value of its products and demanding service needs of the company-Feets global customers. 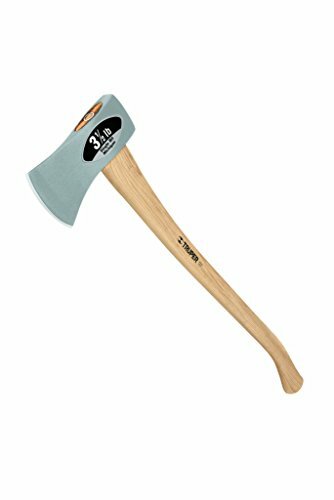 1.25 LB, Camp Axe, 14" Double Injected Fiberglass Handle For A Better Grip & Less Vibration, Head Is Of Dropped Forged Steel & Comes With A High Polished Head. Looking for more Truper Axe similar ideas? Try to explore these searches: Metal Stereo Headphone, Party Pack Napkin Plates Forks, and Toe Skimmer. Look at latest related video about Truper Axe. Shopwizion.com is the smartest way for online shopping: compare prices of leading online shops for best deals around the web. Don't miss TOP Truper Axe deals, updated daily.